About 59" (150 cm) wingspan, 29½" (75 cm) down center back. of Tasha Tudor, whose books were a childhood favorite. 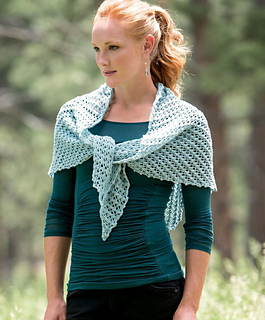 When blocking the shawl, resist the temptation to block too much; part of the charm of this shawl is the bubbly texture of its stitch pattern, which you won’t want to damp down.